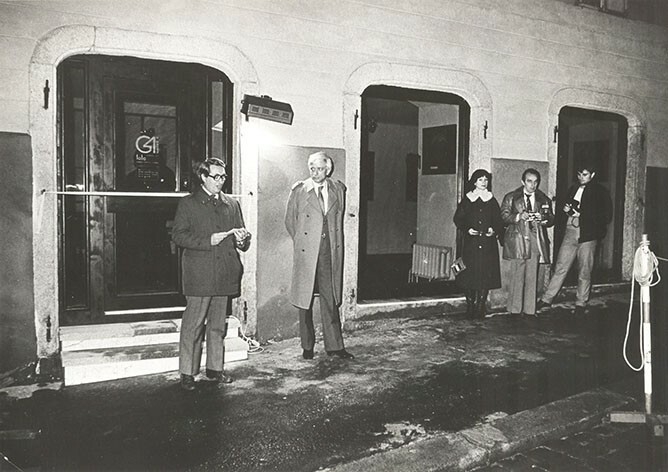 Gallery 4 - gallery of photography, the allowance organisation of Karlovy Vary region was found by Regional culture center in 1985 at Kamenná street in historical center of Cheb. 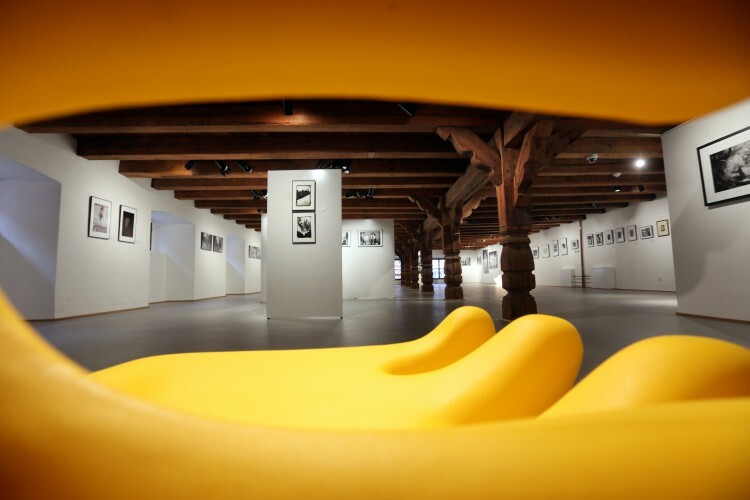 Today, the gallery is the oldest still running gallery of photography in Czech republic. Four exhibition rooms were created by the reconstruction of a neglected arcade. 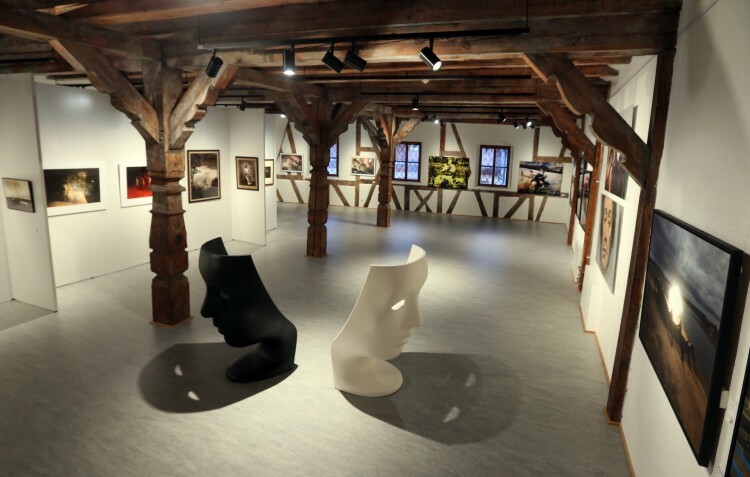 In 2015 the gallery moved to modified facilities Baroque granary at Františkánské náměstí 30/1 in Cheb, which still resides. This was preceded by extensive reconstruction, financed by the Karlovy Vary region. The former granary now used as Art Centre Gallery 4. Build is cultural heritage in the old town of Cheb. 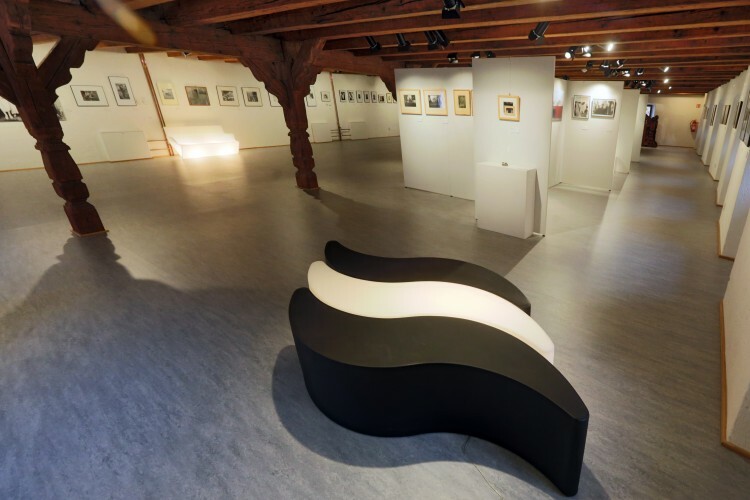 Greater spatial background gallery enables the implementation of multiple exhibitions at the same time, organizing club events in the gallery café and implementation of workshops for all ages. Gallery operates with installation system Nielsen and the lightning is provided by Led reflectors Guzzini. The gallery can be broken using the variable exhibition panels , and thus achieve the necessary atmosphere and exhibition space . The exhibition area now allows the presentation of traditional and modern creative new approaches. At the present moment, Gallery 4 focuses mainly on four activities: exhibitions, non-exhibitions, acquiring collections and methodical activities. Exhibitions doesn’t limit only for the given space of the gallery - many of the exhibitions are held in foreign as well as other Czech galleries. Non-exhibitory activities include organising socio-cultural events for professionals as well as for the broad public, youth and children. Acquiring collections is mainly for a study and documentary purpose. In latest years, the collection is focused on Czech and foreign authors after the 1950s. Methodical activities run in two directions: towards the broad and professional public in theoretical level (publishing, library, archive, seminars, lectures) and practical (workshops, symposia). Project’s goal was to fill the empty niches and cartouches in historical reservation of Cheb with works of contemporary artists. Reconstruction of Baroque granary and conversion for the gallery.